PROPERTY MARKET: Is now the right time to invest in Ukrainian real estate? 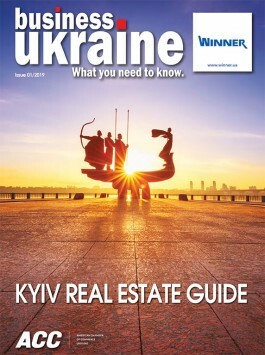 UKRAINE PROPERTY MARKET: Is now the right time to invest in Ukrainian real estate? The Ukrainian real estate market is attracting increasing attention from international investors. Many see opportunities in the country’s improving economy and EU integration prospects, but with a major election cycle on the horizon, there is also widespread caution. Is now the right time to invest in Ukrainian real estate? Between 2013 and 2017, Ukraine’s hryvnia currency plummeted around 70% in value. During the same period, sharp drops were also evident across the Ukrainian real estate market. Premium rental rates decreased by 20-25% while sale prices for fixer-upper properties in the center of Kyiv fell by 40-50%. Since early 2017, there have been numerous indications that Ukraine is beginning to emerge from this prolonged slump. The country has made great strides towards restarting its economy and reorienting towards the EU. GDP growth is now slightly above 3% and forecast to climb even higher in 2019. Ukraine’s trade turnover with the EU increased by 27% in 2017 as the EU-Ukraine Partnership Agreement began producing promising results. As Ukrainian producers and exporters align themselves with EU standards and develop their understanding of EU markets, significant further trade growth is an entirely realistic expectation. Political uncertainties cloud this otherwise appealing investment environment. Ukrainian presidential and parliamentary elections will take place in 2019, with most observers expecting reform momentum to stall until both votes are over. Some international real estate investors see this political uncertainty as a reason to press the pause button, while others point to the improving economic climate as a strong argument to press ahead before rising prices undermine the competitiveness of the present investment opportunities. From 2015 to mid-2018, Kyiv has witnessed a building boom that many are calling a “bubble”. For international property investors the sustainability of this construction craze is a moot point because the best deals remain on the secondary market of historical buildings in the city center. Prices for investment-class fixer-upper properties have been at the bottom for the past two years at around USD 1500-2000 per square meter. With sales prices for these flats reset to early 2000s levels, coupled with rising demand and a tight supply of premium long-term downtown rental housing, current annual yields can be 10-12% when you buy the right property in the right location and renovate it to suit expat tastes. Moreover, renovated historic properties in AAA locations have strong price appreciation potential. Within the next five years, it is likely that sale prices will reach 2014 levels of USD 4,000 per square meter. This would mean that Kyiv prices would reach about 50% of current rates in Paris. That might sound fanciful but it is actually a conservative forecast for prices in the center of a major European capital with a growing economy where real estate is traditionally the most trusted asset and holder of value. What is the catch, you might ask? While the quantity of unrenovated apartments in prime locations in Kyiv remains sizable, the number of properties for sale is limited. This is due to low carrying costs for property owners (low communal charges and minimal property taxes) and current sale prices that are well below historical highs. This means that the quantity of good purchase opportunities at any one time can be quite low. Consequently, many properties are only on the market for an extremely short time. In this challenging investment environment, investors need a broker with excellent market intelligence and should be prepared to move quickly when good deals appear on the market. It is worth noting that Kyiv has many derelict historical buildings in prime locations that would be excellent candidates for conversions to luxury apartments, but virtually all of these buildings are subject to legal disputes among multiple owners. The Kyiv authorities do not currently have the legal tools to force the sale of these properties, so investors will probably need to wait at least another year or two before overall conditions improve for the purchase and renovation of these buildings on a mass scale. What opportunities do new buildings offer for investors? The vast majority of new apartment buildings are not investment grade properties for several reasons: prices for apartments in new business-class buildings are much higher than prices for fixer-uppers, resulting in unattractive purchase price-to-rent ratios. Additionally, there are virtually no new buildings in prime locations for premium rentals. While it is theoretically possible to get attractive returns if you buy an apartment in a new building at pre-construction prices, current rents are much lower outside the city center, while there is a growing supply of new buildings that will hold down rents in those districts. Prices for elite apartments in some new buildings have appreciated slightly over the past year, with some developers starting to ask for USD 2500 per square meter during the pre-construction phase. Clearly, these developers are feeling more confident about the pickup in the economy. However, the target audience is primarily wealthy local buyers and these apartments are not necessarily investment-grade properties due to locations in the Pechersk and Holosiiv districts beyond the downtown area. Now that Ukraine’s economic recovery is well underway, many investors are asking when mortgages might return to the housing market. As of autumn 2018, it is difficult to predict exactly when mortgages will again become a viable option in Ukraine. The key roadblock remains inflation. Ukraine’s National Bank (NBU) has targeted 8.9% inflation for 2018, but it currently appears that inflation will be remain in the low teens. In order for mortgages to return to Ukraine, annual inflation would need to come down to 4-7% and the NBU would need to decrease the refinancing rate (currently at 17.5%) to 7-10%. If this happens, we could expect to see lending rates of 9-14% on 10, 15, and 20-year mortgages. Many market observers expect banks to begin lending in a conservative fashion by offering home equity loans to affluent borrowers who are existing customers (rather than offering new mortgages). There is certainly pent-up demand for home equity loans in Ukraine that borrowers could use to refinance or repair their homes or to finance complete renovations of empty shell and core flats. Western banks could look to offer variable-rate loans. However, Ukraine currently lacks a benchmark for variable rate loans like LIBOR in the US, so the NBU would need to solve this problem. At present, Ukrainian regulations forbid hard currency lending and nobody expects this to change in the short term. It is theoretically possible that some banks could lend to foreign buyers. Nevertheless, based on their experience elsewhere in Central and Eastern Europe, the Western banks that operate in Ukraine have been far stricter with investor lending (as opposed to owner-occupier lending) in order to clamp down on speculation and to manage risks. What does all this mean for foreign buyers? For now and in the near future, any significant change is unlikely. Credit may return to Ukraine’s housing market and push up property prices on Kyiv’s broader housing market, but only in the medium to long term. While it is unlikely that mortgages will return in 2019, many other positive market developments in the near term should begin to improve the overall investment climate in Ukraine and exert upward pressure on Kyiv’s real estate prices. Current economic growth is steady and expected to improve slightly in 2019. With the market entry of low cost airline Ryanair and other established low cost carriers also expanding their routes, Kyiv is set to attract far larger numbers of international visitors. This will expand social and business ties between Ukraine and the West, while also driving demand for short-term rental apartments and affordable accommodation options. In early 2019, real estate investors can also expect to see the benefits of an escrow law that passed in 2018. Some banks are planning to act as escrow agents and this will help with counterparty risk mitigation during real estate transactions. Ukrainian notaries currently perform this role, but it is a cumbersome process requiring a good broker capable of managing the “human factor” to minimize risks. 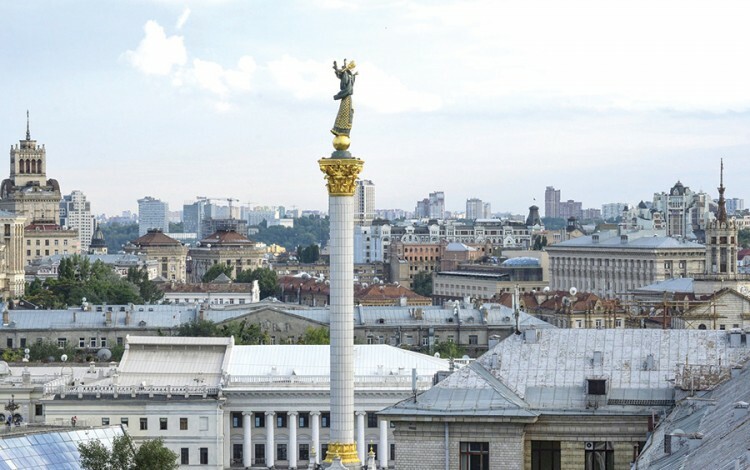 In February 2019, Ukraine’s law on currency liberalization will be implemented, further relaxing Ukraine’s existing currency controls, which should ultimately improve conditions for foreign direct investment. What about the effect of Ukraine’s exchange rate on real estate? Despite continued worries about fluctuations, the exchange rate remains close to where it was at the start of 2018. Nor is this an exclusively Ukrainian issue. It is helpful to keep in mind that since the beginning of 2018, the US dollar has risen by about 5% against major world currencies like the pound sterling and the euro. Even if the hryvnia experiences a significant decline, buyers should be aware that historically speaking, Kyiv real estate prices decrease on a percentage basis far less than the hryvnia during a devaluation. For example, a 20% currency devaluation can translate into a 5-7% drop in real estate prices, so if the hryvnia devalues by less than 10% you should not expect to see a significant impact on real estate prices. Gentrification and urban renewal are additional medium term price drivers that buyers of fixer-uppers downtown should take into account. The global urban renewal trend is just beginning to take root in Ukraine and today’s buyers of Kyiv apartments in historical buildings are part of the vanguard. For gentrification to gain momentum, it will require the renovation of derelict buildings in Kyiv’s historical center as well as improvements to infrastructure and services downtown. This would require a cultural shift. Currently, affluent locals in Kyiv overwhelmingly prefer to live in new buildings, but in the coming years we can expect the emergence of a prosperous Ukrainian yuppie class that will value the vitality and convenience of life in a revitalized downtown. Does it make sense for property investors to wait on the sidelines until after Ukraine’s coming election cycle? Many Ukraine observers are predicting a general continuation of the political status quo even if a new president wins election, with a resumption of incremental reforms once the election cycle is complete. Even without aggressive reforms, current levels of modest economic growth will likely continue or slightly improve in 2019. Additionally, Kyiv’s tourism promotion agency is predicting a record number of visitors in 2019 and more than half of these visitors will be business travelers, including investors investigating the market. If you are already considering investing in Kyiv property, you probably do not have much to gain by waiting. Current yields are attractive, prices for fixer-uppers have been at current levels for almost two years, and a price increase looks imminent. If you decide to wait until after elections, you might find yourself competing with a lot more buyers in a market where the number of good deals at any one time is limited. The choice is yours.